The students are back in town in my new little hometown, and they are ridiculous. Students are just walking into the street without looking both ways. I think it is safer for me to stay at home and knit. 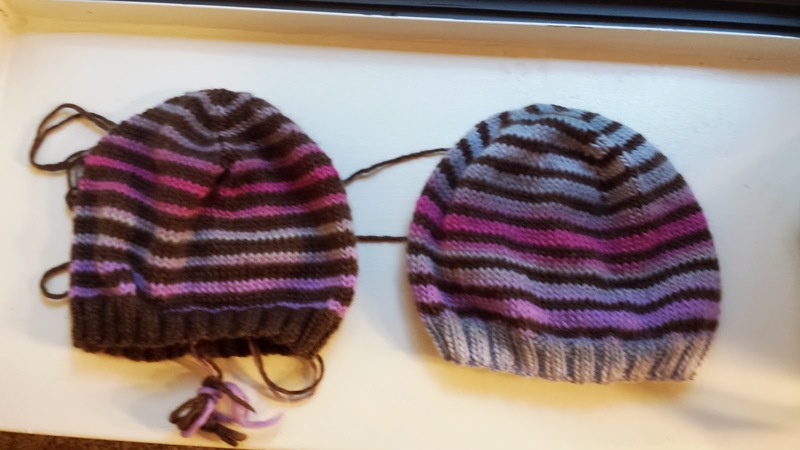 I just knit up two Turn a Square hats. I have now knit 4 hats (I reversed the colors for the fourth hat) out of two skeins of KnitPicks' Chroma. I may even have enough yarn to squeeze out a fifth hat too. The Pandorica Opens (Doctor Who). I had bought three skeins of red yarn several years ago, when I had originally planned to make this scarf. 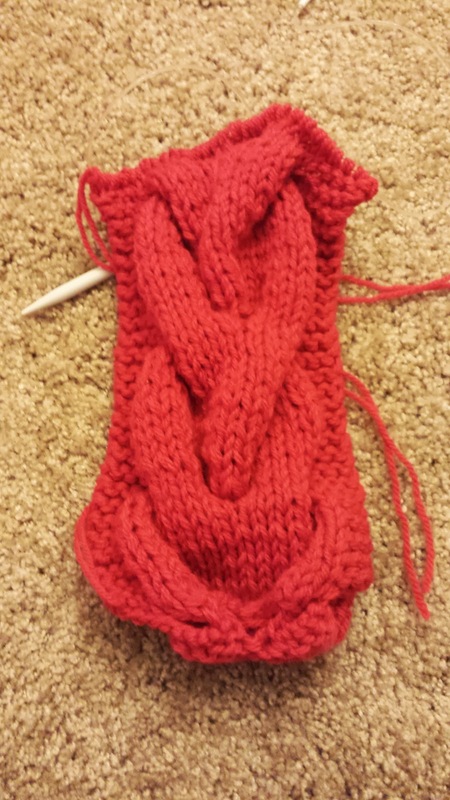 Now that I have actually looked at the scarf patterns, I realized that I need to double the yarn and need more yarn. I know I am supposed to be on a yarn diet and be knitting the stash down, but it is okay to buy yarn to knit the yarn down, right? Because this scarf is knit with two strands of worsted held together throughout, it is knitting up super fast. The size 11 needles don't hurt either! I am hoping to have a scarf in about a week, so I don't have to look at the extra skeins of yarn. Like always, HGTV is making up most of my knitting television. You rarely have to look up to know what is happening. It is nice background noise. On a fun note, my local library has blu ray DVDs, so my husband and I have been renting the Star Wars movies. We watched episodes 4-6 and 1. Tonight we are watching episode 2 and tomorrow we are watching episode 3. Because we have seen them so many times, I can focus on my knitting.